Bethlehem's Executive Director, Lori Beech, and Hugo Chesshire of the Niagara Chamber of Commerce presenting a unified front to politicians to address the City's Housing Crisis. Council was asked to make affordable housing a municipal priority and to develop a Housing Action Plan to address the City's specific housing needs. Affordable Housing in Niagara was on the agenda for the Niagara Falls city council meeting on Dec 11th, 2018. 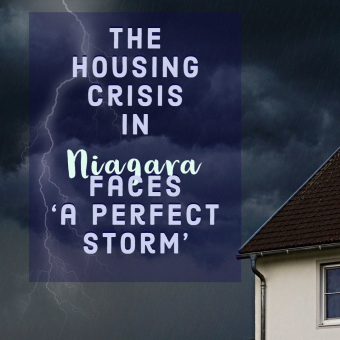 Bethlehem’s Executive Director, Lori Beech, and her co-presenter, Hugo Chesshire, of the Niagara Chamber of Commerce, were invited to recommend solutions to combat an impending record level affordable housing crisis in Niagara. Beech coined this prediction of an unmanageable level of homelessness ‘a Perfect Storm’. Their presentation began by offering congratulations to the Niagara Falls City Council on their efforts to initiate and conduct a study on single occupancy dwellings. Also acknowledged was the positive step they took to move forward in regulating boarding houses within the city. Then, the presenters encouraged the council to make a change in municipal regulations; changes needed in order to allow for the future development of a variety of affordable housing options. 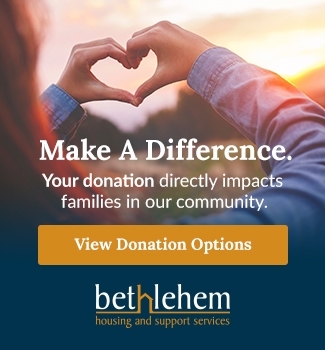 These changes would allow for innovative partnerships and could result in new affordable housing buildings, similar to the one currently being erected in partnership with Bethlehem at 111 Church St. in St.Catharines. 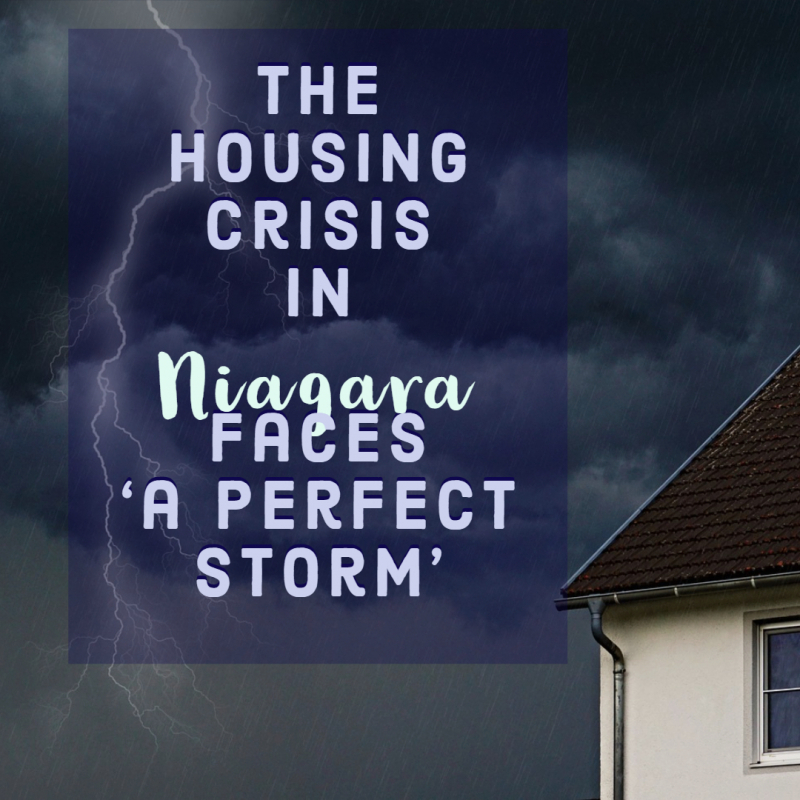 Our co-presenters delivered a revealing presentation and question and answer portion on the state of homelessness and affordable housing in Niagara Falls, touching on its residual effects on the rest of the Niagara Region. Bethlehem’s role in providing an innovative action plan to combat the crisis was further defined by this offering. 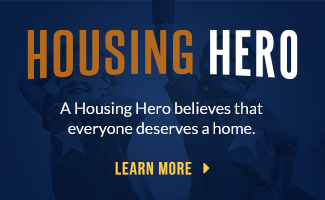 Beech identified herself as the chair of the Innovative Affordable Housing Taskforce committee of the Niagara Region Housing and Homelessness Action Plan: A Home for All. She described it as a long and very challenging process to get an affordable housing development project off the ground. She urged council to develop an Affordable Housing Policy Framework through a Housing Strategic Action Plan for Niagara Falls. Beech reiterated that the federal and provincial housing policies are shifting. She concluded that the local housing markets and municipalities will have to adjust accordingly. Bethlehem provided the council with a copy of the city of St. Catharines Housing Action Plan, developed by the planning department, authored by City Planner, Margaret Joskapovic under the direction of Jim Riddel and Mayor Walter Sendzik. It outlined what steps it would take to implement a comprehensive review of policy tools and current housing action plan. To conclude the presentation, Beech appealed to Mayor Diodati to champion a collaborative political approach to expedite the process of acquiring long term affordable housing solutions in Niagara Falls. Below are two articles, providing coverage of this presentation, was published by The Niagara Falls Review and Niagara This Week.